Open Palm is Sime Darby Plantation's online dashboard that provides critical information on the traceability of its supply chain. 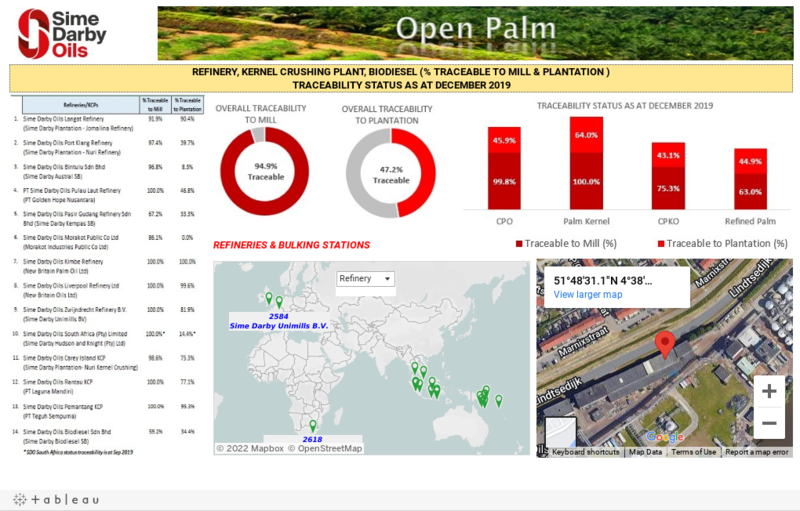 Open Palm provides our customers with access to key data on the origin of all palm products that go through Sime Darby Plantation refineries, be it from its various oil palm mills, right down to its plantations, as well as third party plantations.The main features of the Open Palm dashboard concept is outlined below. Full access to the traceability dashboard will only be made available to our key clients in order to protect the confidential nature of commercial information contained, which may include data on products and purchasing patterns.